OUTERDO 26-inch Mountain Bike Bicycle Loading Bags Loading Oxford Thick Package Bags by OUTERDO at Melon City Bike Club. MPN: OUTERDOKelvinMall1960. Hurry! Limited time offer. Offer valid only while supplies last. Features: Storage size: 38x23CM Expand Size: 130x25x82CM Mountain, road vehicles can use 1. 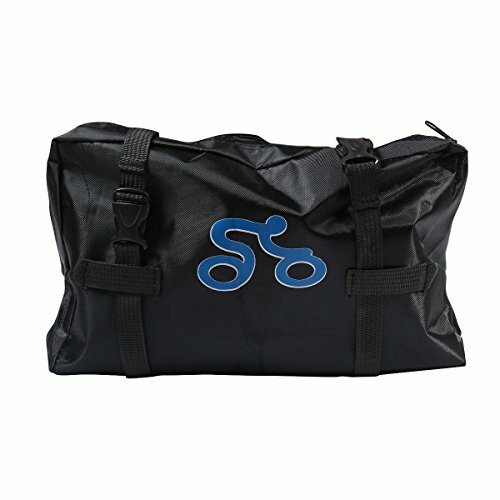 The durable, lightweight, fabric 1680D, weight 2.25kg. 2. View More In Bike Travel Cases. 1. The durable, lightweight, fabric 1680D, weight 2.25kg. 2. Large packs a small bag can hold the outer tool to facilitate travel. 3. With compartment, wheels and brackets can be open-minded, to avoid scratching the frame, user-friendly design. 4. The latest strengthening 1680D fabric, 840D is not generally comparable to, but not the kind 600D can be compared. 5.We made a thickening process, increasing the wear layer. 6. Applicable to pack on the bike car, train, subway, with a shoulder strap can bear. 7.Use loading bag makes for easy transport to carry your car, and can save transportation cost, oh. Long-distance riding required! ! ! If you have any questions about this product by OUTERDO, contact us by completing and submitting the form below. If you are looking for a specif part number, please include it with your message.